National Academy of Sciences, 2101 Constitution Ave., N.W., Washington, D.C.
Photo ID required. No charge. Viewable 9 a.m. to 5 p.m. weekdays. Closed weekends and holidays. Are you interested in visualizing science? Curious to see what impact one single person or invention can have? Keen to find pockets of innovation? Desperate for better tools to manage the flood of information? Or are you simply fascinated by maps? Then plan to visit the Places & Spaces: Mapping Science exhibit at the National Academy of Sciences. The exhibit demonstrates the power of maps to navigate and make sense of physical places and abstract topic spaces. The exhibit has two components. The physical component on view at the NAS is meant to inspire cross-disciplinary discussion on how best to track and communicate human activity and scientific progress on a global scale. 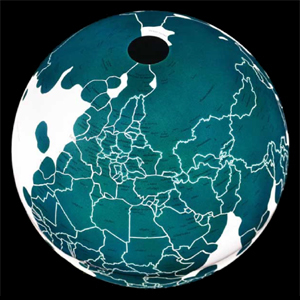 It features two dimensional maps as well as three dimensional globes. The online counterpart, accessible at http://scimaps.org, provides links to a selected series of maps and their makers along with detailed explanations of the maps.